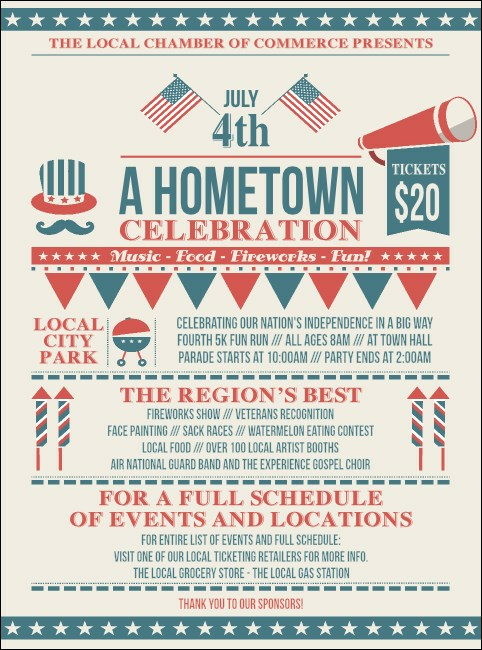 Get the whole town pumped about your holiday celebration when you print Fourth of July Hometown Flyers and post them in advance. Declare your Independence Day event with Flyers that feature a classic, bazaar-style design of American images in red, white and blue, and give you space to add twenty-five lines of text for all your summer event details. Promote your event independently at TicketPrinting.com.